For more information, please visit Verdun on Steam, like us on Facebook, subscribe on YouTube, and follow us on Twitch and Twitter. Tannenberg is OUT NOW on Steam! The Bulgarian army joins the fighting with iconic weapons like the Mannlicher M90 carbine and the venerable Martini-Henry rifle, while a new map set in the Dobrudja region between Bulgaria and Roumania erupts into conflict. After an Early Access period full of updates and gameplay tweaks, every squad has their distinctive loadouts and special abilities, and every map has a mix of strategic sectors, each offering their own advantages to the side strong enough to take control. Support for three new languages have been added to Verdun: Portuguese (Brazilian), Turkish and Polish, while support for Japanese and Simplified Chinese is coming soon. The update also includes bug fixes and bot improvements, plus there is a price reduction to the game as well! We’re thankful to all our fans and Tannenberg Early Access players who have provided invaluable feedback during the development process. To celebrate the launch, Verdun owners will get a 25% loyalty discount voucher! Get Tannenberg now on Steam: Store.steampowered.com. New map announced for Verdun expansion! The new map in upcoming free expansion for WW1 multiplayer FPS Verdun has been revealed: St. Mihiel! If you ever need a idea for an expansion, please think about the spanish civil war. Altough gcould sound a very local conflict with a little public, it was the almost direct predecessor of the IIWW. It would have a similar rifle based gameplay,with potentially tanks, airplanes, more lighter machineguns and smg. The selling point could be the war of ideologies, where traditionalist, nationalist and fascist were fighting against republicans, anarchists and communist, with a lot of foreigners volunteers; more urban fights; and one of the Wire creators, it's making a mini tv short about the american volunteers. There hasn't been a real fps about this period, except a mod for CoD2. Hey,I've asked myself.Can anywhere this game be bought? I can't afford the game unfortuently. It could be bought in a Humble Bundle for 5.50 with 7 other games a week ago :/. Will you ever add the M1917 revolver for Americans? Wow wow wow, This was made with Unity!? We're can. 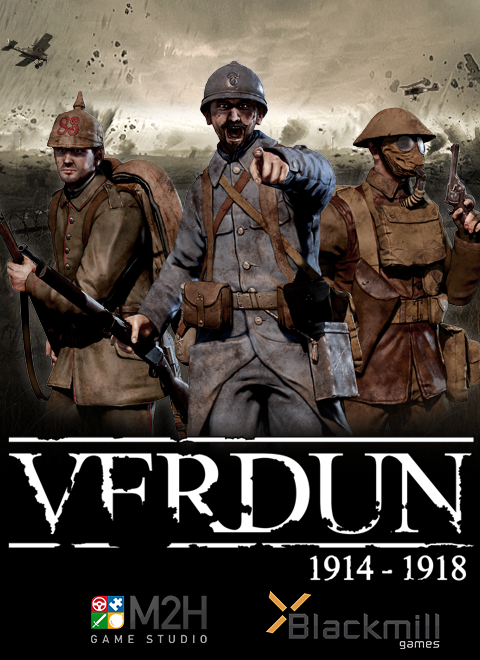 I buy Verdun for my ps4?